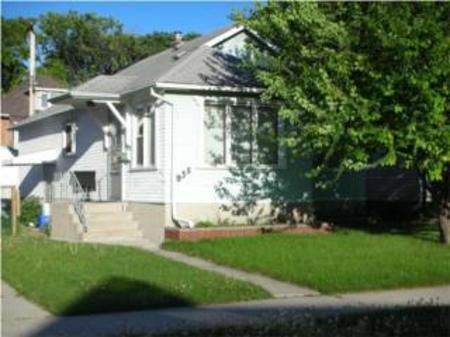 GREAT LOCATION IN THE WEST END NEEDS A LITTLE "BRUSHING UP" BUT NOTHING MAJOR. REMODELLED KITCHEN, NEWER PVC WINDOWS AND PARTIALLY REMOD. BATHROOM. LOTS OF HWF'S AND FIVE APPLIANCES INCLUDED. OLDER SINGLE CAR GARAGE. RECROOM IS PARTIALLY FINISHED WITH EXTRA BEDROOM.POSSESSION COULD BE QUICK. HOT WATER TANK ON FLAT RATE RENTAL.